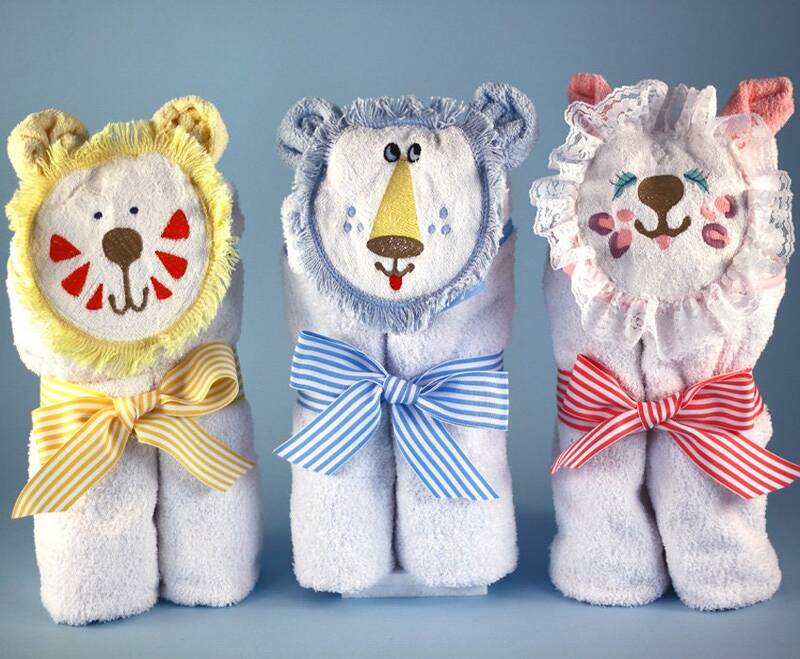 Lion, Tiger, and Kitty hooded towels for baby are simply "purr...fect". They're made with quality in the USA from soft & absorbent premium terry fabric, fully-sized at 30" x 30" to wrap baby in warmth and comfort, and sensational looking with distinctive animal character hoods. Whichever one you choose, it comes gift wrapped in a clear cello bag tied with ribbon & bow. Animal Pals Hooded Towels can be ordered personalized too! The name will be embroidered on back so it is visible when baby is wrapped in towel. Please enter the name in the space provided or the Notes/Comments box during checkout.